Rhinoplasty can reshape and resize your nose for a more pleasing contour. Dr. Kasrai specializes in particular techniques that give you harmonious results, with the primary purpose of preserve your natural look. Your nose stands out so much that it has become a focal point of your facial appearance. The size, shape and/or part of it does not blend harmoniously with the rest of your face. You may also struggle with persistent breathing issues that prevent you from living comfortably. 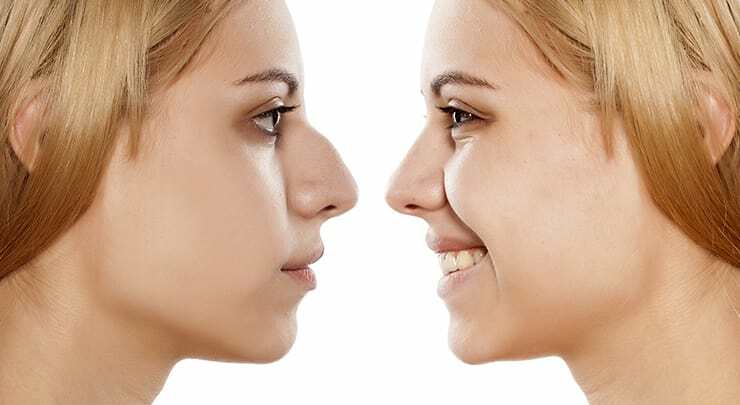 A nose job, or rhinoplasty, can change the shape and size of your nose so that it doesn't look out of place. Any breathing issues can also be corrected. I perform the open rhinoplasty technique, which is almost the same as the closed technique, except for one difference: a short incision (just a few milimetres in length) is placed on the underside of your nose, on the wall where the two nostrils meet (the columella). 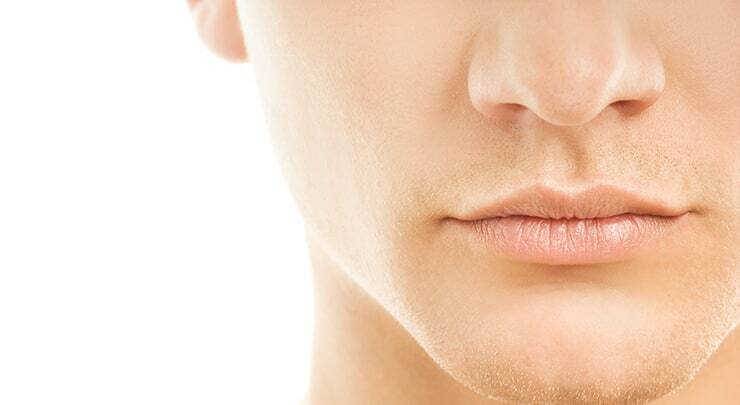 The skin of the lower part of your nose is then pulled up to reveal the internal structures of your nose. I can see exactly where the desired modifications can be made. This is more precise than working from the outside of the nose and guessing. Complex issues that require more extensive correction can be treated. The internal structures are treated, rather than just the skin on your nose. This provides a better foundation for any modifications made. While a scar may form on the outside of the columella, it won't be visible in most social situations. When it comes to rhinoplasty, I specialize in hump reduction. My patients have enjoyed an improved contour that still retains their unique character. Whether you were born with a hump or developed it from injury, I take special care in smoothing out the unwanted hump (created by bone or cartilage). This is done while maintaining the natural proportions of your nose. Some of my patients prefer a nonsurgical approach to treating aesthetic problems affecting the dorsal contour and deviations. There is a nonsurgical and temporary solution to camoflauge the issue. Consider getting a liquid rhinoplasty using an injectable filler instead. You'll have an improved nose contour from a short treatment with minimal downtime. Local anesthesia and intravenous sedation or general anesthesia is administered. Your procedure will take two hours, or longer if it is more complex. An incision is made in the skin between your nostrils. The skin is then separated from the bone and cartilage. This allows for the internal structures to be sculpted into the desired shape. The cartilage and skin are sutured into place, both nostrils are packed with gauze, and a splint is applied. The splint helps your nose maintain its new shape as your recover, and will be removed once your nose is strong enough. Right after surgery, you may feel sore or have a headache. I'll prescribe medication to relieve your discomfort. Stay in bed with your head elevated for the first 24 hours. After 48 hours, I'll remove the packing. The split can come off after a week or two. You may experience a little bleeding or stuffiness – this is common. Don't rub or blow your nose for the first week, and be gentle when you wash your face. The swelling and bruising around your eyes should disappear after a couple of weeks. You should be able to get back to your normal activities after two weeks, but make sure you avoid strenuous activity for six weeks after your surgery. Healing is slow and gradual – you may notice some very minor swelling for quite some time, and the final results may take up to a year. In the Aesthetic Surgery journal, patients experienced a significant increase in the satisfaction of their appearance. After surgery, my patients frequently comment on how their nose looks like it's part of their face. This proportional harmony and virtually invisible scarring is what makes great results. Rhinoplasty, familiarly known as a nose job or nose sculpting, is a cosmetic surgical procedure that changes the shape and/or size of your nose. It can target any part of the nose, whether the bridge, tip or nostrils. I'm 65 years old. Can I still get a nose job? Your nose continues to change in shape and size as you age. Common issues affecting the aging nose include a droopy or bulbous tip. If you're healthy and have realistic expectations of the surgery outcome, then you can definitely consider a nose job. In fact, a study published in the Journal of Craniofacial Surgery found that eldery patients (aged 60 and over) enjoyed an improvement and achievement of "their long-cherished desires." Revision rhinoplasty, or secondary rhinoplasty, is a procedure that corrects any inadequacies resulting from a prior nose job. It can be performed to address functional or aesthetic problems, as well as resolve complications. While rhinoplasty is associated with a higher revision rate than other plastic surgery procedures, any corrections are usually minor. For example, a small dent or bump might need to be corrected. Surgery may not be required to resolve any issues. Can my breathing improve with surgery? 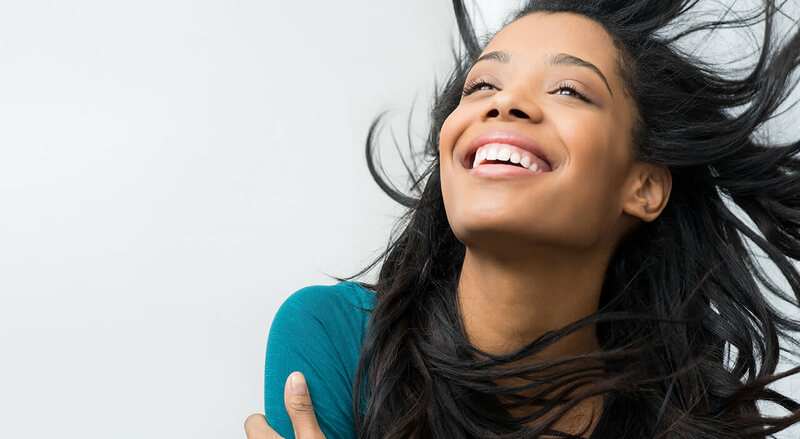 If you're seeking correction of a deviated septum or nostrils that are pinched too close together, then rhinoplasty may improve your breathing. However, you should know that the primary purpose of the surgery is to improve aesthetic rather than functional issues. You should wait until your nose has fully grown. This is usually at about 15 years old for girls and 16 years old for boys. What can I do to recovery faster? The best thing to do is to follow the pre and post operative instructions I'll give you. You can also take arnica to help ease bruising and swelling. A weak chin can make your nose look bigger than you'd like. Sometimes, chin augmentation can balance everything out. There is a higher risk of complications in patients who are smokers, are diabetic or have poor circulation. You can reduce your risks by following my instructions, and by not smoking.